Five years ago it hit. The shaking. The confusion. The panic. The 6.3 magnitude shake claimed 185 lives on 22 February 2011. 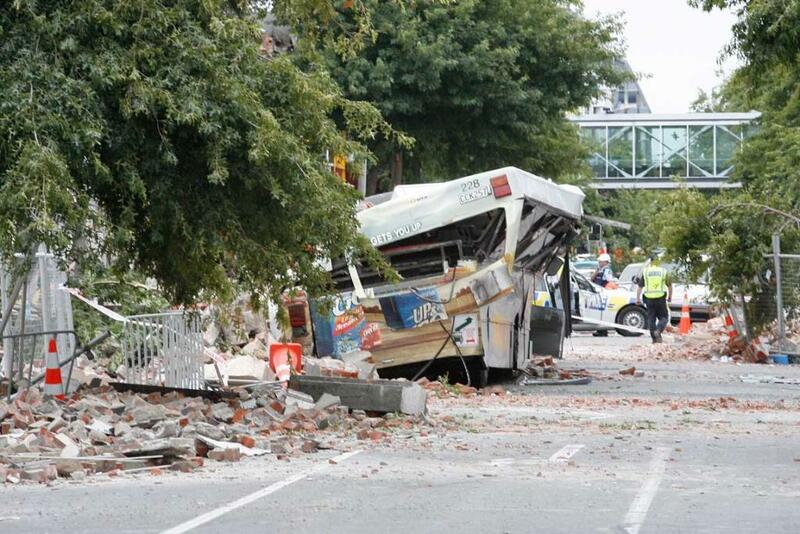 The earthquake rattled Christchurch, tearing families apart and collapsing buildings. I vividly remember running to a door frame with my 14 month old son in my arms. My first thought after the shaking had ended was that it couldn't be too bad as we still had power, whereas we had lost power in the September earthquake. I then turned on the TV and realised how devastated the central city was- right where my husband was working on Colombo Street. Panic ensued as I frantically tried to get hold of him. I was alone with my son, and for ten minutes the tears flowed as I waited for a text, a call, a message that he was OK. He finally answered my call, and told me that his building was not in great shape. Luckily, he had biked to work that day and he was able to get his bike out from amidst the rubble and cycle home. My other family members and friends checked in, apart from my mum. I knew she had been at a job interview in town and I had no idea where. I finally heard from her at 7pm- she was OK but it took her nearly three hours to get home due to the traffic, blocked city streets and people everywhere. The days that followed were harrowing as we heard of friends, workmates and loved ones that hadn't made it. The papers were full of horrible images, and the death toll rose. The whole city was in limbo and people were left without jobs, houses or families. I know that I was one of the lucky ones as we were all safe with a roof over our heads, and Malcolm could continue working from another location. Time went past and things slowly went back to a sense of normality, although aftershocks continued to rattle us and keep everyone on edge. I feel sad that my children won't know the Christchurch I grew up with- but they will know a more resilient Christchurch, a safer city and a beautiful place to live. Christchurch still has a long way to go, but we soldier on and take it all in our stride. My heart goes out to those still battling insurance claims, waiting for a house to be built or demolished, and trying to continue with life through anxiety and fear.